Here's Gossip Girl's Leighton Meester at the Teen Choice Awards. I don't know what happened at these awards, but there were a lot of questionable fashion choies made by the celebrities the teens have chosen. For instance, Leighton looks pretty cute right here. Crazy shoes, the dress fits well, and she's gorgeous. What is that? That's a ribbon masquerading as a sleeve, is it not? Strange. Kristen Bell in a jumpsuit. I just don't understand why you would want your silhouette to look like that. This girl's name is Keke Palmer. I dont know who she is but those are golden wing flower petal sleeves. Minus the hair extensions, I like what Amanda Bynes is working with here. The color of the dress is really fun, the fit is perfect and she looks like she's pretty happy with herself. This is actress/singer sisters Aly and AJ Michalka. Simple, stylish, done. Hi there, Lea Michele. I'm not familiar with you or your work, but that color is great with your skin and hair and you are a rocking that one-shoulder dress. In fact, I'd really like to steal it from you. He's pretty. I'll leave it at that. 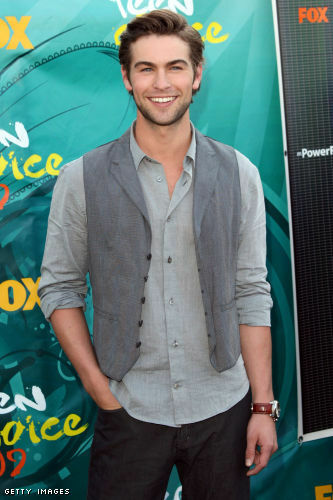 o chace crawford. is there much more to say about him? and i agree, i would totally love leighton meester's ensemble if it weren't for the strange ribbon action going on there. and whoever lea michelle is... i'm stealing her dress. This article is very interesting, keep us posting.. Cool blog, i want to start blogging too, what script is the best for my first blog ?